© 2018 Vulcan Productions. All Rights Reserved. 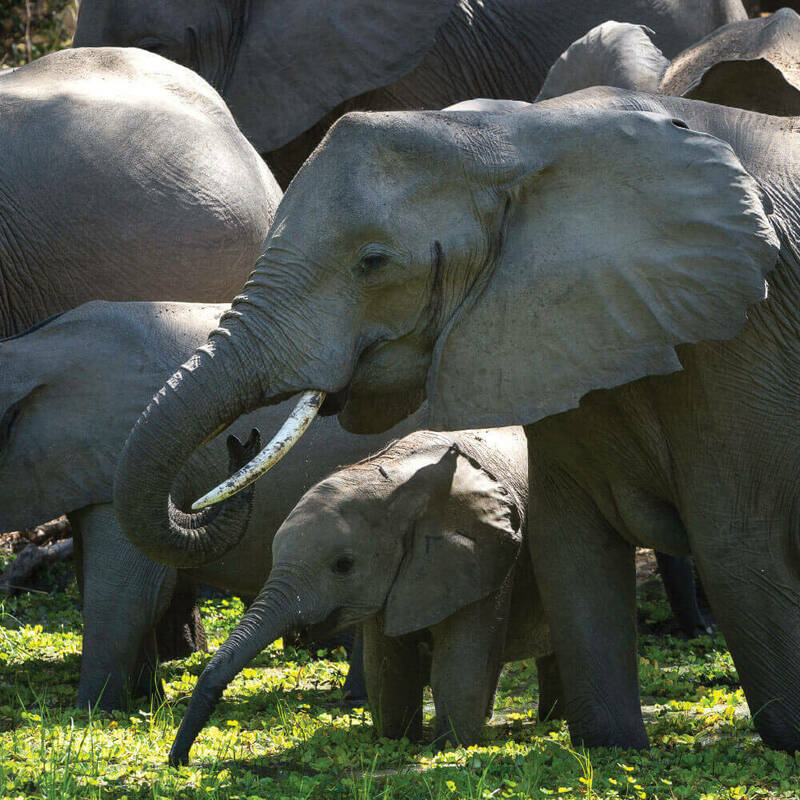 Poaching is exterminating elephants from Africa’s great landscapes, and causing untold cost to ecosystems, parks, and communities. Populations have decreased an additional 30% in just the last seven years. We are running out of time, and there is a role for all of us to play. Learn how you can help the organizations seen in the film. Be informed and #buyinformed. Purchase only “safe” products with the U.S. Wildlife Trafficking Alliance. Close domestic markets in every country. Sign up below to learn more about where we are headed next. From time to time, we may request limited personally identifiable information from children in order to offer a service, a promotion or other activity to children. In such an instance, we will request that the child provide his or her email address, as well as the email address of his or her parent or legal guardian (“parent”). Vulcan will use that email address to send the parent an email letting him or her know about the child’s contact. The email will include details on how the parent may (i) provide Vulcan with consent; (ii) prohibit Vulcan from any further contact with the child; or .paragraph iii) delete the child’s personally identifiable information. Vulcan will not collect more information than is reasonably necessary for the child to participate in the activity at issue. We provide you with an opportunity to access your personally identifiable information to ensure it is correct, accurate and current. To edit your personally identifiable information, please contact our customer service representatives at admin@TheIvoryGame.com. To be removed from our mailing list or if you would prefer that we do not share your information with third party marketers, please contact us at:. If for any reason you are not able to update or edit your personally identifiable information at this page, you can access such information by contacting us as described below. We will make reasonable efforts to accommodate your request. Welcome to TheIvoryGame.com, brought to you by Vulcan Productions, Inc. and its affiliates (“Vulcan”). Please read this Visitor Agreement; by using this website, you accept its terms. This Visitor Agreement applies to your use of the TheIvoryGame.com website (the “Site”). If you disagree with any material you find on the Site, we recommend that you respond by noting your disagreement in an appropriate site forum where there is one. We also invite you to bring to our attention any material you believe to be factually inaccurate by contacting us at info@TheIvoryGame.com . • Violates this Visitor Agreement, guidelines or any policy posted on the Site, or interferes with the use of the Site by others. The Site may include certain content owned by the Associated Press. Without limiting the generality of any of the foregoing provisions of this Visitor Agreement, you specifically acknowledge and agree that (a) Associated Press text, photo, graphic, audio and/or video material shall not be published, broadcast, rewritten for broadcast or publication or redistributed directly or indirectly in any medium; (b) no Associated Press materials nor any portion thereof may be stored in a computer except for personal and non-commercial use; (c) the Associated Press will not be held liable for any delays, inaccuracies, errors or omissions therefrom or in the transmission or delivery of all or any part thereof or for any damages arising from any of the foregoing; (d) the Associated Press is an intended third-party beneficiary of this Visitor Agreement and may exercise all rights and remedies available to it; and (e) the Associated Press reserves the right to audit possible unauthorized commercial use of Associated Press materials or any portion thereof at any time. By using the Site, you agree to abide by the terms of this Visitor Agreement. We hope you enjoy using the Site, and we welcome suggestions for improvements. Thanks for making the Site part of your discoveries online! Last updated August 11, 2016.
want the extinction of elephants.